The Red Cherry Café (Business) in Cambridge, New Zealand is for sale. This iconic café has a huge reputation and serves delectable food along with locally roasted coffee to legions of tourists and loyal locals. 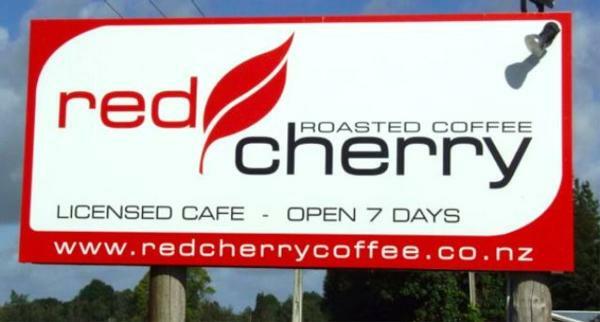 Situated on State Highway 1 just north of Cambridge, near St Peter’s School and the Avantidrome, Red Cherry has high visibility. It is a destination café, immensely popular with its large pool of regular customers from a wide catchment area. Fortunately the car park is large, although frequently full! Vibrant, relaxing and child-friendly in a spacious environment, Red Cherry Cafe is home to leather couches, a warm pot belly stove and outdoor courtyard. It is a place to gather with friends and relax over a wide range of cabinet and blackboard meals, delicious desserts, freshly roasted coffee, homemade cakes and sweets. Red Cherry is fully licensed, of course. Add in private functions, regular weekly business breakfast (BNI) meetings and out-catering and you have a café for all seasons. The Café operates generally from 7.30am to 4.30pm plus private functions.